Determining the ten scariest horror novels I’ve read seemed like an impossible task. A task fraught with potential for criticism. What scares me may not scare you. Yet I feel the ten horror novels I chose are universally agreed upon as damn scary and well worth the read. If you don’t see one of your favorites on this list, don’t fret. It might be that I haven’t read it yet or consider your favorite to be just outside my top-ten. Let’s get right into the list. Tell me if you agree with my selections. Are these some of the scariest horror novels you’ve read? Although Thomas Harris experienced a great amount of success with his first two novels, Red Dragon and Silence of the Lambs, his popularity exploded with the release of Silence of the Lambs in movie theaters. Although the movie is an all-time horror classic, Harris’s book is even better. Get to know Agent Starling and Hannibal Lecter with your mind’s eye as the camera. As much as I love the movie, it cannot compare to the book. Even those who’ve never read It know who Pennywise is. If you were put off by the original movie, starring Tim Curry, you owe it to yourself to read King’s classic. It combines the coming of age prowess of The Body (Stand by Me) with vintage King horror. The result is an epic, horrifying novel. Clive Barker burst upon the scene with Books of Blood 1, a horrifying anthology of short stories which broke new ground for creativity and macabre imagery. My personal favorite from his first collection is In the Hills, the Cities. What a ghastly vision! Barker is a prose master, the most literary horror writer to ever pick up a pen. Definitely deserves mention among the scariest horror novels ever written. Where it all began. 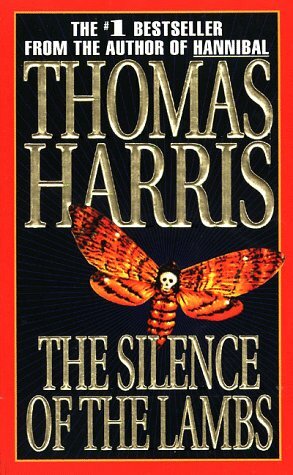 Before Silence of the Lambs, there was Red Dragon, Thomas Harris’s classic horror and detective thriller masterpiece. Red Dragon inspired the movie, Manhunter, with William Peterson, and eventually, Red Dragon, with Ed Norton and Anthony Hopkins. Brilliantly written, Red Dragon leaves you breathless. You will forever fear The Tooth Fairy. The classic novel which inspired the movie of the same name, Pet Sematary asks us how far we would go if the ones we loved most were taken from us. If we could bring them back from the dead, would we dare? As a father of two children and pets, I experience a great deal of anguish from King’s classic novel. Not only is it heart-wrenching, it is also damn scary. Jack Ketchum’s debut novel, Off Season, revolted critics and thrilled horror fans. A tale of primitive cannibals secretly living along the Maine coast, Off Season is gruesome, unrelenting, and twisted. In one novel, a star was born in Ketchum. Richard Laymon was stolen from us too soon. During his abbreviated life, he penned classic, gruesome horror novels which built a cult following among insatiable readers. Many of Laymon’s novels were candidates for my personal top-ten. Funland might be his scariest novel. 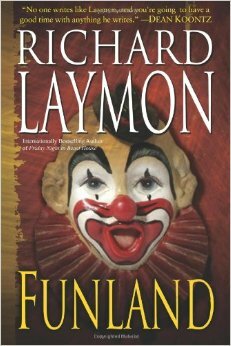 Set at a California boardwalk carnival overrun by vagrants, Funland is brutal and creepy, exactly what Laymon fans have come to expect. Not the first vampire horror novel, but probably the best. Stephen King’s second novel follows the sleepy town of Salem’s Lot. Part haunted house story and part vampire horror, King’s Salem’s Lot is a classic. From its believable characters and locations to its creepy horror, Salem’s Lot never disappoints. I read this one, at least, a few times per decade. I’ve always considered Dean Koontz more of a thriller writer than a horror writer. When he’s made the choice to delve into pure horror, Koontz has always managed to produce magic. Intensity is arguably the most-frightening novel ever written and easily Koontz’s best. A non-stop roller coaster ride which lives up to its title, Intensity combines a strong character arc with slasher elements. Koontz’s book clearly inspired the movie, Haute Tension, in this reviewer’s opinion. Definitely one of the scariest horror novels I’ve read. Hands down, the scariest novel I’ve ever read. No other novel made me feel this tense or helpless. There is a reason Stephen King referred to Jack Ketchum as the scariest man in America. 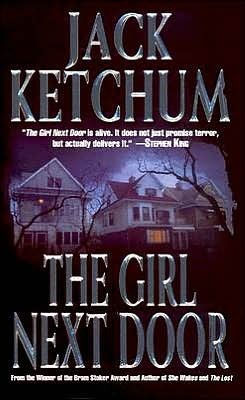 Ketchum’s The Girl Next Door explores the darkest recesses of humanity. If the book isn’t frightening enough for you, consider that The Girl Next Door is based on a true story. If that fact doesn’t revolt you, nothing will. Let me know if you agree with my selections. What are the ten scariest novels you’ve read? List your favorites in the comments, and let’s get the discussion underway. An excellent list. Apparently our libraries are similarly stocked! Good to know, Tom. Glad you liked the list. Dan have you ever read this series? I was totally enthralled with these. Loved them for years. Shame this man taken too soon too. No, but I’m already intrigued. Thank you. Your welcome. He had several books also not in series that were excellent too. Good list, Abraham. Can’t argue with any of yours, either! Thank you, Jason. I may revise this list at some point, as I very much enjoyed Widow’s Point by Richard and Billy Chizmar, and Head Full of Ghosts by Paul Tremblay. Your list is great. Love Jonathan Janz. Great to meet you, Jason. Are you coming back for 2019?